I really enjoyed this reading because I watched the Oscar Nominated documentary "Virunga" on Netflix and to actually see all this happening visually, was heartbreaking but also inspiring to see the park rangers do all that they can to save their park and the gorillas. --Asher D.
I was struck by the importance that one road could make, and the symbolic meaning of it all. Here, we wouldn't give much thought into the rebuilding of a road, but to them the road meant new beginnings- it meant peace,hope,and rebirth. --Mackenzie C.
It really resonated with me how the building of one road could change young men’s lives for the better. When the ranger told a group of boys that “before now, all (they) we’re creating was insecurity”, but now they were building this road and affecting their community for the better(66). This really resonated with me because, being born in africa, I know it is a worn torn place. It is rare to see anything done for the greater good of the community, so I found this enlightening. One of the significant struggles of rebuilding the Park is the use of violence. One sentence that stood out to me was: “This past March two rangers were executed in Virunga’s central sector, driving the death toll of park rangers to 152 rangers since 1996” (Draper 67). This shocked me that so many rangers, whose job is to protect the park were murdered. I would think that so many murders would have caused a outcry and be labeled as a genocide. The use of violence is so prevalent that over 100 murders are a norm. If that is not disturbing in itself, I don’t know what is. An important aspect of rebuilding the National Park was a type of re-branding that had to be implemented. It was noted that, "Since the massacre of seven mountain gorillas by charcoal traffickers in 2007, their population has been rising... Virunga is no longer an anything-goes playground' (69). A more strict policy for poaching helped implement a statement that prioritized the well-being of the Park. I found it interesting how far the locals would go to survive, even if that meant destroying the park and killing others. One such feat is described on page 68: "Others would run for elective office essentially as park abolitionists, vowing to reverse the misdeeds of the Belgian colonizers...." A park that tries to restore the natural wildlife is considered to be a horror due to the colonizers... it just amazes me. Something that really stood out to me was the use of the park to instill violence. In the chapter a quote stood out to me, it read, “this past March two rangers were executed in Virunga’s central sector, driving the death toll of park rangers to 152 rangers since 1996” (Page 67). This is very heart wrenching and sad to know that the people meant to protect and preserve the park are being killed. It is very disturbing and actually surprising to me that this is occurring, and that its occurrence is very frequent. This use of violence almost seems to be becoming normal in that area, it is very disturbing to think about. I think the article gave great detail of how violence in areas near the park is really hindering not only the preservation of the park but as well as neighboring communities. Something that surprised me was when the article noted, “...the land, if it were developed, would be bring the communities about $1 billion a year”(p.68). It surprises me that some locals continue to try to destroy the park and to act violent when the park could possibly help themselves and their communities with the amount of money it would generate. The money earned through the preservation of the park can allow the implementation of certain technology such as the hydroelectric plant implemented in 2010 that provided electricity to local towns(p.74). This was a very interesting read. Throughout history, the creation of roads has always held significant value. Roads are ways to keep humans together. As mentioned within the reading, Kambale viewed the development of the new road not only as life, but a reward. Projects similar to those help contribute to the revitalization of the national park, although expensive, is needed. What I found particularity interesting about the rebuilding of the park was the violence that occurred. "For Virguna has been, going on two decades, a war zone." (page 67) It was already a huge struggle to maintain, but also those who were as rangers could be and were murdered. On the other hand, I found the idea to create jobs for villagers and also help the park was a great idea. "to use the park for creating mass employment" (page 73). Overall I realized the process to rebuild took a lot of patience and time. I think the struggles associated with rebuilding the park reflect what occurs in impoverished communities around the world. The lack of resources leads to violence and corruption which makes it even harder to rebuild. In order to overcome this, I believe you must have great leadership, which Virunga seems to have in de Merode. One thing that amazes me is all the different things that you can find in the park. 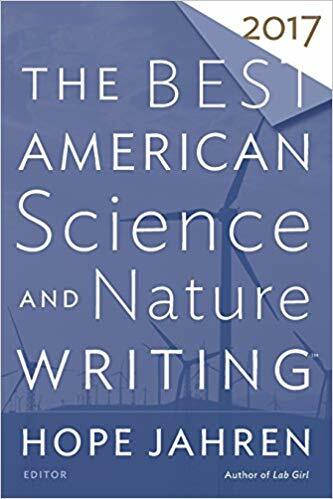 On page 67 it said "It's approximately 2 million acres include a web of glacier-fed rivers...." There had 2 be st least 4 different things in one park along with 700 bird species, 200 mammals, and 800 mountain gorillas. It seems like a cool but scary place to visit. I found it quite striking how the government in Kinshasa only contributes "5 percent of the park's $8 million annual operating budget" (68). Though the park is a national park, one would think the government of which it resides will appreciate it more. The park was a success at some point, therefore one should not think it can't become as successful again. A significant struggle pertaining to the rebuilding of the park is read on page 68. It states, “Virunga’s terrain is among the most fecund in Africa... many in defiance or ignorance of the law cut down the parks trees for charcoal, plant crops in its forest and kill its wildlife”. It’s extremely unfortunate that their locals are ignorant to this matter and in result they destroy fertile soil that can contribute to the well being of many in that area. I find it interesting that the rebuilding of this park has done nothing but benefit the people and the environment. "With the aim of electrifying one-fourth of the area's households by 2020 and creating 60,000 to 100,000 jobs along the way" (69). Rebuilding this park has the potential to put income into a quarter of people's homes. Also, animal life is rebounding, which is a major plus. "As the Mobutu regime collapsed in 1997, so did any semblance of governmental structure. Virunga's rangers saw their salaries slashed" (70). It saddens me to that the people's lives who protect the park are jeopardized. They are only trying to protect nature and their lives are at stake. They put their life on the line for this job. It's disturbing that many of them were murdered. While reading this, I thought that it was very interesting to know how much war goes around this area. As well as how there are so many animals and some of them the last of their kind, like the last remaining mountain gorillas. I thought that it was an interesting fact to know that "only one-tenth of Virguna is accessible to visitors - and only half of that could be described as visitor friendly - ..." (page 68). It then goes on to say that the mountain gorillas that are there are protected by humans and so it seems like they are trying to make it a priority to keep them alive. However, on the next page a massacre of gorillas is talked about and how there used to be many more animals but there aren't as many anymore. It really opens my eyes to see how humans can change the areas around us like with poachers or people like that. I find the struggles faced in rebuilding the park surprising. I can’t believe that many the animals around the area were massacred and that many rangers had whose jobs were to protect the park were murdered leaving them incapable of doing their job. The effort the park put into reviving the lost wildlife was seen as a bad thing by other people. I don’t understand ho people can think that saving animals as a bad thing. This is stressful. I appreciated the idea of the hotel (working with an electronic version). In the end, this is probably the most successful nonviolent way to deal with this. I'm starting to see libertarian argument that the best way to protect something is to find a way to make it profitable. I'm hoping this is successful, because the violence only gives each side a reason to keep fighting. It just makes them both victims in their own minds, so making it profitable to these (insert nicer word here for gorilla killers) is likely the best option. Convince people to see value in your own, not demonize theirs. What stood out to me the most about the significance and struggles associated with rebuilding the Virunga National Park was that amount of violence. "For Virunga has been, going on two decades, a war zone(67). The extraordinary measures the colonizers took to survive was interesting and allowed me to see that they were going to do what they had to do in order to keep themselves alive. I think it's inter how one road could mean so much such as peace, hope, and rebirth for a community but here we don't quite think how important roads are and many of our roads are actually pretty damaged. What stood out to me was a quote from page 67. It states, “this past March two rangers were executed in Virunga’s central sector, driving the death toll of park rangers to 152 rangers since 1996”. This stood out to me because it upset me to read that people that were suppose to be preserving and protecting such a valuable area are being killed. And for this park to also be called a “war zone”, that just paints a picture of how unfortunate the situation actually is. After reading the text I was most surprised about the vast amount of diversity within the park. I am aware that multiple species live together but I was not aware that hundreds of different species lived together. Another thing that surprised me was how hard it was to keep the park going even wile it has been "a war zone"(67). I don't even know if I would have been brave enough to do the same. After reading, I found an interest in the quote from page 66. The quote reads "you can't progress if there's no security. So tell that to your friends. Tell them to leave their armed groups because that is not life.This' - and he would gesture toward the road - 'is the beginning of life'". This quote struck me on a personal level. I truly enjoy the idea of being reborn and this quote immediately draws me to this thinking. What interested me but also intrigued me was the fact that after all the violence or death, blood, sweat, and tears. These park rangers are still park rangers, after all of that. Robert Draper said, “beneath de Merode’s baggy ranger shirt are two sets of entry and exit wounds; one bullet went through his left lung and the other his stomach” (page 72). It goes on to talk about how the rangers have been murdered by other people, animals, and been betrayed by one of their own. The struggle that they went through to protect this park is tremendous. It’s instinct really that even after that they still work hard and continue to do the best for the park. Most people would have quit or given up but they stayed. A quote that stood out the most to me is “this past March two rangers were executed in Virunga’s central sector, driving the death toll of park rangers to 152 rangers since 1996”. This stood out to me because it shows how much of a war zone this was and how violent people can be when someone is in their way. It is very sad because this is not an issue that people have to die over yet it has become one. Also killing the rangers doesn't change or help the cause at all. This article had many interesting points to it. the part that really interested me about the Virunga is found on page 66. The quote says "you can't progress if there's no security. So tell that to your friends. Tell them to leave their armed groups because that is not life.This' - and he would gesture toward the road - 'is the beginning of life'". This quote means that fighting and war isn't the right way to live life and as someone who wants to see the world at peace, I completely agree. What was significant about the rebuilding of the Virunga National Park was how determined they were to get the money any way possible to build up this national park. The text states, "The truth is that we're not going to succeed unless we mobilize a critical mass of funding," (68). This shows how important it was to the park's director, Emmanual de Merode, to keep the park and have it be successful. I think that's very important because he wasn't willing to just give up on a plan he had set out to accomplish. One of the struggles that really struck me was the violence that came as a result of seemingly unrelated things. As the text states, "For Virunga has been, going on two decades, a war zone." (67). That choice of words seemed extremely powerful to me and really shows what everyone who wanted to protect the park had to struggle with beyond people who were poaching and other things you would immediately think of when visualizing the struggles of protecting a national park. I found the significance of this road, to the surrounding area, very interesting. The Virunga connects these people not only to money but food. On page 65 the article stated, "Its impassibility made hard lives that much harder." These men are not working for profit but to save their lives. J'Kolbe K.
It was so shocking how much harm was aimed at the innocent animals and park rangers. There was so much violence that they used the words, "war zone" to describe it. War is not something you refer to lightly, the situation must have been really horrible. I was shocked because it is was something that could help the entire community but how violently it had to occur was devastating. The biggest struggle, to me, was the violence that the park faced upon trying to maintain and rebuild. The citizens' need for resources and lack thereof created a hostile environment. It is saddening to hear of people fighting for resources to survive, but I also empathize with the people who have to preserve it. (66-68) Shelby W.
Just the sheer amount of violence and chaos from all angles associated with the region of Virunga is what stuck out to me. The ethnic conflict between the Hutus and the Tutsis is one that I'm very familiar with and yet I still find the bloodshed itself as very much senseless (68). At the same time, you have people with origins from both sides, Hutus and Tutsi and men who were once enslaved by their own working together to rebuild the roads of Virunga National Park amongst all the violence. The Park is very much the only unifying entity there. The park rangers faced so much backlash for trying to rebuild and protect the gorillas. I understand that the citizens are fighting just to stay alive, but to taken violence against the park rangers and animals is useless. The war zone that is Virunga is tearing this community and environment apart.